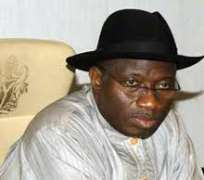 Despite contrary indications, President Goodluck Jonathan and the aggrieved G7 governors met at the Presidential Villa, Abuja, on Monday in search for peace in the Peoples Democratic Party (PDP). However, the meeting failed to resolve the festering crisis as agreed to meet again soon. There earlier indications that the might not hold because some of the G7 governors intended to embark on Muslim pilgrimage, which coincided with the scheduled date. The Baraje led new PDP had on Sunday made a u-turn as it directed that the agreed governors who did not make to the Hajj should attend the scheduled Monday meeting. The Presidency had said that they were not informed of the earlier decision of the Baraje group to seek postponement of the October 07 meeting pleading Hajj operations. Some of the top aides of the President said it was not acceptable to expect the president to act based on newspaper publications purporting such a unilateral shift, adding that the Presidency was going ahead with preparations for the meeting. However, only three of them, Sule Lamido (Jigawa), Aliyu Wammako (Sokoto) and Murtala Nyako (Adamawa), were absent at the meeting attended by Governors Rabiu Kwankwaso (Kano), Rotimi Amaechi (Rivers), Abdulfatah Ahmed (Kwara) and Babangida Aliyu (Niger). On the main PDP side were Governors Godswill Akpabio (Akwa Ibom), Idris Wada (Kogi), Ibrahim Shema (Katsina) and Liyel Imoke (Cross River). Vice President Namadi Sambo and the chairman of the PDP Board of Trustees (BoT), Chief Tony Anenih, were also in attendance. 'The meeting agreed to continue to take steps towards implementing the resolutions agreed to at the previous meetings. 'In view of the above and the absence of some of the governors, it was resolved that the meetings be reconvened shortly after the Muslim hajj and Christian pilgrimages,' he said.